This is another episode about Refreshers. I still love them. I still want them to launch nationally. Just as a reminder, Refreshers are the delicious light drink that tastes a bit like a tea or a juice, but actually has green, unroasted coffee in them. The two flavors are Very Berry Hibiscus, and Cool Lime. There have been several rounds of Refreshers testing, and as I write this, they’re available only in limited areas of California (from San Diego up to about Stockton), and stores in Arizona, for a grand total of about 2000 stores. I was just in California at the end of August, and had the chance to try them again. In fact, I constantly ordered them. Many of the stores I visited were sold out of the Berry flavor, which seems to have been the more popular flavor. 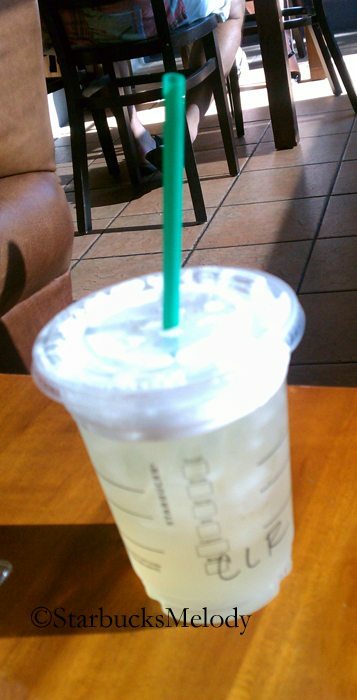 This Starbucks beverage innovation is solidly two thumbs up. I’m not going to repeat that blog article here, rather I’ll just share a few Refreshers-related photos from this trip. Maybe you’ll be enticed by them too! ^ That in-store signage was in many stores, and I even saw it at the airport Starbucks as I was leaving California. 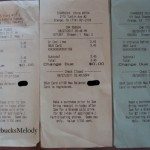 That particular photo is from Starbucks store #5704 on Tustin Avenue, in Orange. 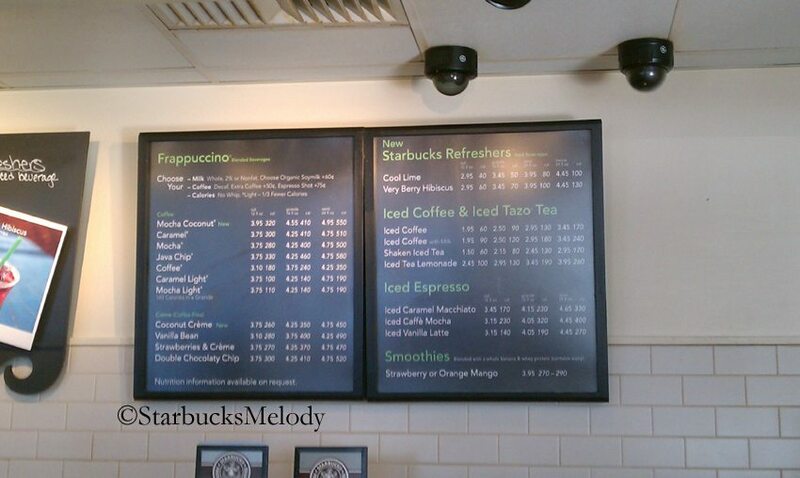 It was really difficult to get a good photo of the menu boards listing the Refreshers. Many menu board have lights shining on them that create a distracting glare. Here’s one photo that seemed to come out pretty readable (and for the record, I took this picture at a store in Anaheim). Here are two more photos of the actual drink. 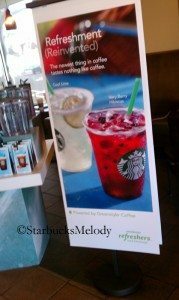 This cool lime photo was taken at store #5704, and the very berry hibiscus was taken at a store in Anaheim (store 6561). What do you think? Have you tried them? Which is your favorite? Most test products never launch nationally, but this one just might really make it. I had the good fortune to be in Anaheim for work last month, and stayed in a hotel with a Starbucks in the lobby. I tried both and loved them (each for their own reasons). I live in Florida, and these would become my iced “afternoon go-to” drinks if we had them here! Far lighter than a milk-based drink, and not as intense as iced coffee. I hope these make national rollout, too! well…they do sound good but….? …of course I haven’t tasted these! I see a real need for these, just as I thought there was the tazoberry ‘n cream….early 2000’s, I think. I LOVED that as a late day drink….very “refreshing”,too. Someone once told me when you want something ‘new’, go back to the ‘old’ stuff. That’s what the refreshers sound like to me…the tazoberry ‘n cream of earlier. Wow Melody were you able to finish the Trenta size? I am not sure I would enjoy this drink. How sweet is it? I am not totally convinced these new drinks would be successful across the country. Thanks for the update. @VincentGilbert & Eric – That’s great to hear. I’ve heard that these drinks have done well in every testing, and have had wide spread appeal. I like both the lime and the berry. So good. @DeniseR- Hahaha. I’ve got a future blog post coming about that store that has the lobby that looks like a living room! And it does. But you can see where that Starbucks was by checking out the receipt for the Trenta Berry Refresher – It’s on Chapman Avenue in Orange. @Purple1 – These are really not too sweet of drinks at all. Just perfect. I usually describe it as a little more than a tea but less than a juice. And a Trenta went down easily. 90s in Orange, California. I was ready for a super big gulp size Refresher. I’m in Northern California but recently had two trips, one to San Diego and another to Arizona. I tried them for the first time in San Diego and on my Arizona trip kept ordering them! I prefer the very berry hibiscus and am not too big a fan of the cool lime, the funniest part was that I thought I would like the lime better and my mom thought she would like the berry better and we ended up trading. I tried the lime refresher in Az when i was stopping there for a layover, i enjoyed it, but i have not yet gotten to try the berry one. I do hope they launch nationally! When will these refresher dealies be available here in Seattle? 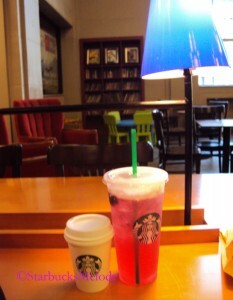 In fact I don’t understand why these drinks aren’t first tried out here since Seattle is Starbucks’ headquarters. 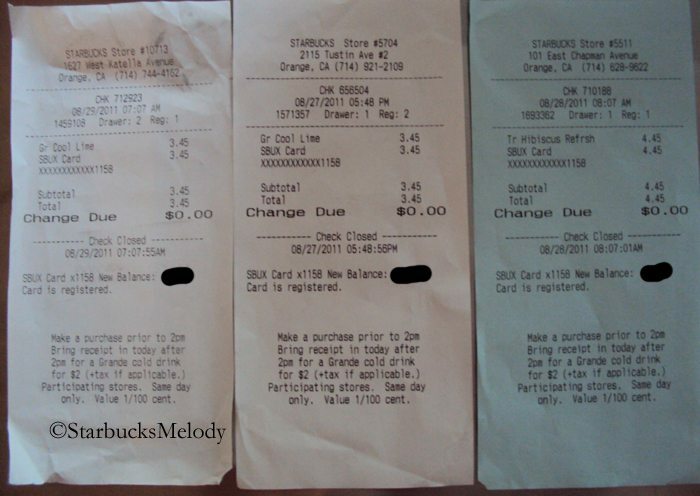 @Steve – Starbucks generally looks at different weather climates, and buying patterns and tests products accordingly. So a lot of cold drink items start out being tested in the sun belt states. Seattle isn’t nearly the cold drink market that places like Arizona and Southern California are. 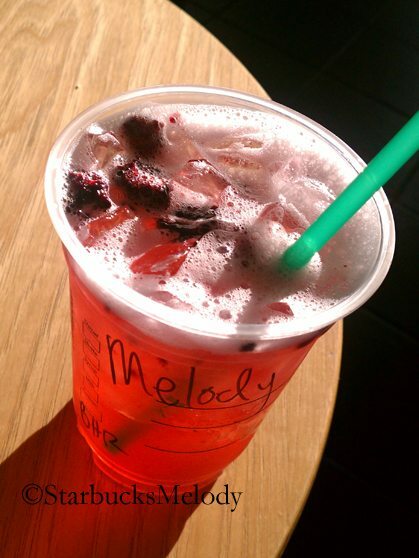 I am a fan of the berry refresher over the lime definitely! Arizona also put out 3 flavors of canned refreshers as well. Those 3 canned flavors are carbonated. Steve- I don’t much but I know that test markets are generally based in areas where the weather would allow more sales. Or sometimes they will test in an area that many people didn’t grow up in but moved to, so you have people from many different cities. Being that AZ is still in the 100s, I’m sure iced drinks are a huge % of sales right now and having a different option than the normal iced latte or coffee is even more popular for those. I have a co-worker who LOVES the berry refresher…she gets Trentas all the time and was heartbroken when I told her it was only in testing for a limited time. Thanks Melody and Hayley. Makes sence to me. No use testing out a cold drink in Seattle where it wouldn’t sell too good I suppose and test it out in a market that it would do better in. This morning at my local SB someone we know came in saying he came back from Mexico and at the airport SB he had this great new drink- the berry Refresher! Loved it and raved about it. The SM said we were getting the Refreshers here soon. Very cool to see that Starbucks is adding more flower tea inspired drinks! As a hibiscus fan I’m very much in favor — I love making my own, but when I’m walking around town I’d also love to be able to step into a Starbucks and grab a Very Berry drink. It sounds great, especially as you say that they’re not too sweet. I hope they do roll them out everwhere. 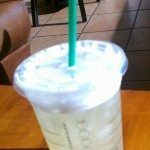 We were the test market for trenta and refreshers this past year. Arizona LOVED the refreshers and the trenta cup. Speaking of Refreshers, I noticed the canned refreshers tonight at a grocery store I was in. So, they are still making the canned versions. Did they ever launch anywhere else? Has anyone else seen them? They are supposed to be in Arizona only – we were the test market for the canned refreshers. We still sell one flavour in store and the others in grocery and convenience stores. @Diele – Which flavor of the Refreshers do you still offer in stores? I want!! And I would LOVE to be able to buy the canned Refreshers. I’ve got to get to Arizona sometime this year – A Clover AND Refreshers. Wow. We have the dark red can which I think is raspberry. I know when sampling we were instructed to do without the limes as there was no way to divide it into each sample cup, but you shouldn’t serve them without the fruit. We ended the test market with too much blackberries and just the right amount of limes. We still get quite a bit of requests for them. I do hope we see these this summer. 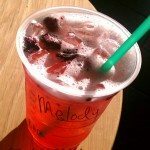 The raspberry pomegranate refresher is the canned version that is still in Starbucks stores. Yesterday when I was at the grocery store I saw all three flavors were still out… Orange melon (maybe its mango?? ), strawberry lemonade, and raspberry pomegranate. I’m actually a little surprised that they are still manufacturing them but only for one state! It was strange that they did radio announcements for the canned refreshers when they first launched.